You may have heard this saying at some point, “I must have known you in a past life.” Past life? Some people don’t quite wrap their head around this idea while many others embrace it whole heartedly. The idea is that we live our lives, pass on, and our souls move on to another place before it is regenerated into a new body. The slate is wiped clean but sometimes little puzzle pieces can be left behind. So, what is the benefit of accessing these past lives? To gain the knowledge you already have or to learn the lessons you have already learned. It can be akin to having a convenient reference guide to life and maybe similar situations from the past. You may be wondering how you can get assistance accessing your past lives as well? 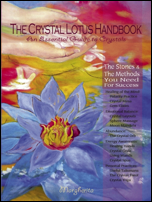 Look no further, crystals can help. Blue is the color of ice reflecting the slowly lightening winter sky as the deep violets depart and the sun climbs higher every day. As the winter slowly gives way to the budding spring, and life quickens, ready to burst forth, blue marks the beginning of life and emotion. This is a time when new life is about to burst forth, a time of faith and trust. 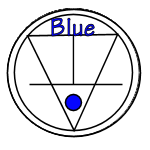 Blue crystals are the crystals of trust. When we seek to become more sincere, act more responsibly, or become more trustworthy or faithful, these crystals give us the focus we require. Blue Crystals Bring You Trust, Faith, Patience, and Respect. 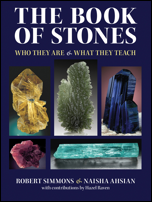 In lighter shades, blue crystals are tempered with subtlety. The color of shallow pools of water reflecting the sky, light blue crystals help us reflect, ponder, question, and relax in our acceptance of the life we have. Use light blue crystals when you need to develop patience, reconcile differences, or seek forgiveness. The light blue rays are excellent for recovery efforts from addictions or destructive behavior patterns. They aid in curbing tempers and helping us become mellower and milder. Their rays are potent, and they can help us to change our lives to become more dependable and cheerful. 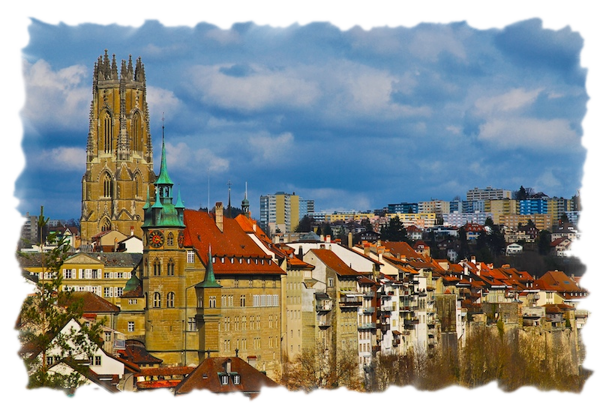 They are helpful in dealing with grief, letting go of the past, and curing guilt. While light blue crystals can help you let go of the past, they can also allow you better access to it. Blue Chalcedony is a demure crystal, subtle and mystic, cool and serene, ethereal yet solid. It has an inviting, soft blue translucence, and an almost imperceptible movement within the stone that invokes a stillness of silent reverence. It's calming, and speaks of spirit and trust. It stimulates telepathy and all communications with the invisible realms, assisting in the remembrance of past lives and articulating regained wisdom. 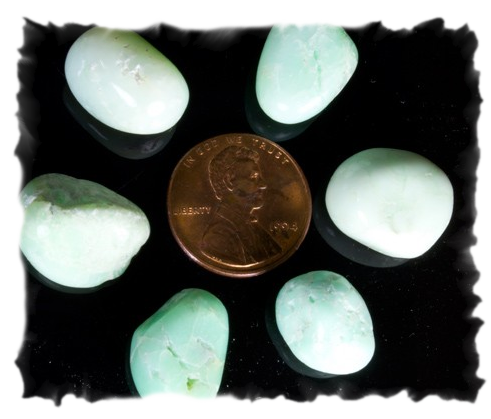 Because it connects to the subconscious, Blue Chalcedony is a good stone for those in therapy or those who counsel others. In the metaphysical world, Bulgarian Opal acts as a prism within the aura, bringing a full spectrum of Light energy to the system, soothing and clearing the emotional body, and boosting the will to live and the joy of one’s earthly existence. It enhances cosmic consciousness and stimulates flashes of intuition and insight, yet is a protective stone for deep inner work, meditations, soul retrieval or past-life recall, and can be used for “gazing” into the past, present or future. It has been traditionally used to invoke visions, increase lucid dreaming, and as a protector and shamanic guide in journeying deep into the self for healing or in past-life regression. 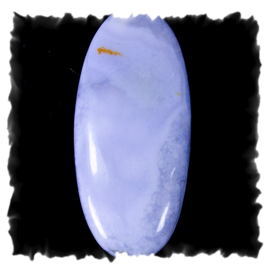 As a calming stone, Blue Chalcedony assists in meditation if your mind is naturally over-active. Gaze into the depths of the crystal and listen to your inner voice of wisdom, speaking in your mind. Bulgarian Opal is a wonderfully supportive stone, dedicated to healing and strengthening the emotional body for those willing to peer honestly into the true self. 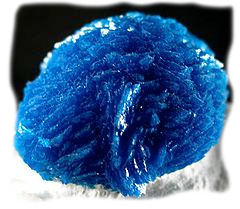 Judy Hall recommends Cavansite which is a stone of transition. A stone of purification and regeneration, Cavansite facilitates conscious astral journeying and past life exploration. This life affirming stone also bring optimism and inspiration into your world. 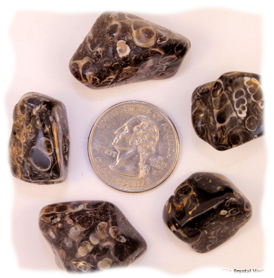 Margherita advocates Turritella Agate which is the consummate transformational stone. Turritella Agata is the past life stone. It is the fossilized remains of sea creatures and helps to teach us life lessons for the future from the past. 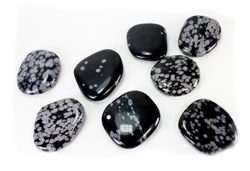 Robert Simmons recommends Snowflake Obsidian which helps to protect the very sensitive against depression. Snowflake Obsidian attunes one to memories of past lives or to forgotten events of the present life, focusing in both cases on the recall of events that relate to present difficulties. When looking into your past lives, you may feel a little lost on how to begin accessing them. We recommend harnessing the power of crystals. Light blue colored crystals bring us acceptance, recovery, and patience. They can also help us open up and look deeper into ourselves and our past. If you are looking to access your past lives, we suggest using light blue colored crystals such as Blue Chalcedony and Bulgarian Opal. 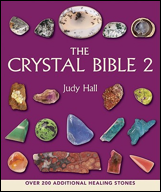 You can also try the crystals that the other authors recommended such as Cavansite, Turritella Agate, and Snowflake Obsidian.